Yogyakarta has been known as the center of cultural place in Java Island. Yogyakarta has a long history, as Mataram Kingdom of 16th to 17th century and now being one of special provinces in Indonesia led by Sultan as the governor in Kraton (Sultan’s Palace). Located in the southeast part of Central Java Province, this tiny province holds thousand secrets to be discovered. Tons of activities are ready to fulfill varies of journey. Are you a cultural enthusiast? Check! Seeking outdoor activities such as hiking or beach go-ers? Check! Looking for traditional place to satisfy your stay? Check! Going around taking photos or shopping spree? Double check! There are many ways to get to Yogykarta. As the city of tourism, you won’t have any difficulties to reach Yogyakarta. By air, you can land in Adisutjipto International Airport located in Sleman Regency. There have been many direct flights from abroad to Yogyakarta such as Kuala Lumpur or Singapore. By land, you can travel by train daily or rent a car. There are two stations, Tugu Station for mostly business and executive trains situated at the landmark of Yogyakarta, Malioboro Street and Lempuyangan Station. Malioboro Street has been the heart of Yogyakarta since decades ago for its shopping street. 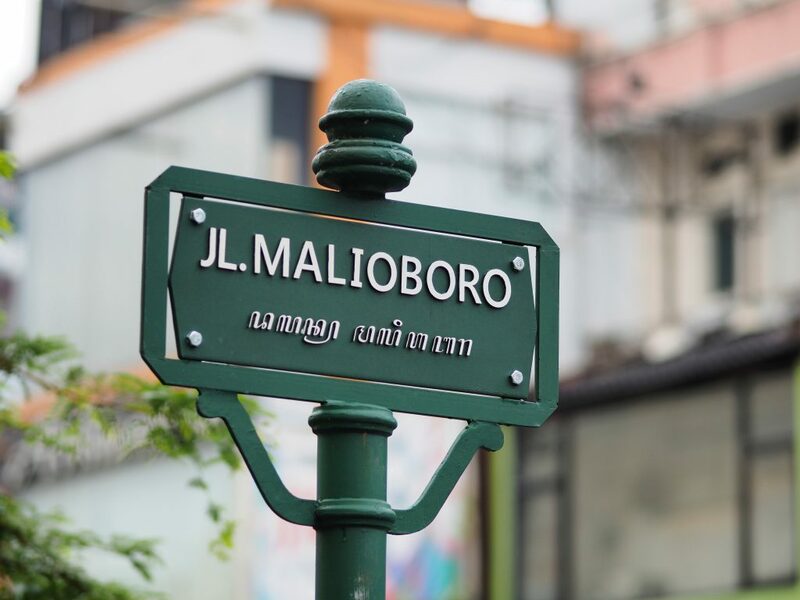 Ranging about one to two kilometers from north to south, Malioboro Street offers practically your every need. Bunch of clothing stores are lining up along the street with jewelry stores, souvenirs shop, street vendors selling crafts, foods, and many more. Near Malioboro Street is the traditional market Pasar Beringharjo. Those who are looking for different kinds of batik will be overjoyed here. Batik is an art of decorating fabric or clothing using wax with certain motifs and philosophical meanings behind every pattern. There are hundreds of vendors selling numerous variants of fabric material, traditional to modern, and reasonable to exclusive batik. There are also numerous events in Malioboro Street occasionally like Malioboro night festival, etc. Originally built as the relaxation area decades ago, this place was a symbol of sultanate royalty. The areas consist of several parts like swimming pool, separated room for the kings including sauna room. This place used to function as a resting area and the main bathing complex for the royal family. You also don’t want to miss to wander around the underground tunnels and the mosque that has only one entrance as well as the exit. The architect is beautifully designed with symbols scattered around the areas. Yogyakarta holds another ancient treasure, Candi Prambanan (Prambanan Temple). Prambanan is the largest Hindu temple in Indonesia and was built during the 9th century (according to UNESCO) as the devoting site for Shiva. It was the golden age of Sailendra dynasty in Java. The relief surrounding the temples tells the story of the Indonesian version of Ramayana epic. The stone is marvelously carved and represents advanced building technology. Pick a tour for a more convenient visit including other temples in the surrounding area. Proclaimed as the city of art, artsy events are always available in Yogyakarta and the surrounding area. One of them is Ramayana Ballet. It is a theatrical performance held in in Prambanan Temple depicting the legendary epos in Javanese culture. The performance is played by 200 members combining traditional dance, drama and Javanese musical. The beaches in Yogyakarta are divided into two, black sand beach and white sand beach. The black sand beaches include the most famous Parangtritis, Goa Cemara, Baru and many more. These beaches are mostly located in Bantul, the southern part of Yogyakarta. The beaches are facing the Indian Ocean and the waves are high, therefore surfing isn’t available on those beaches. However, there are other activities you can enjoy such as watching the sunset, riding ATV, flying kites, and relaxing while sipping coconut water in a small café or warung along the coastline. Not to worry as these beaches are located not too far from the city. It may take 30 minutes to an hour drive to get there. The white sand beaches are mostly located in Gunung Kidul Regency of Yogyakarta, such as Drini, Pok Tunggal, Siung or Timang. Beaches in Gunung Kidul offer calmer ambiance and thus a perfect spot to just lay back along the pristine coastline. You may also be able to swim along the coast for the waves aren’t high at certain times. Camping with your buddies is another option you can do in these shores. It takes about an hour (minimum) using a motorcycle or car to get to Gunung Kidul. Mount Merapi in Yogyakarta is one of the most active volcanoes on Earth and is still active until now. Those who seek adrenalin pumping experience are welcomed to defeat this more than 2000 m mountain. Once you reach the peak, you will be greeted by its twin Mount Merbabu. You can also a ride jeep to explore Mount Merapi known as Merapi Lava Tour to see some famous spots. Museum Sisa Hartaku (Museum of My Remaining Treasure) and Bunker Kaliurang are few of them to remind about the volcanic eruption a few years ago. Mangunan Fruit Garden and Kalibiru are perfect spots to see the sunrise. Mangunan Fruit Garden is situated in Bantul while Kalibiru in Kulon Progo Regency. Those destinations are in the highland area, offering a green heavenly view of the hills and forests surrounding the area. To make it more perfect, there are a bunch of spots to take pictures with reasonable fees. Villages in Yogyakarta are welcoming tourists all around the world to enjoy the experience of living among the villagers. Tourism villages such as Tembi and Pentingsari are only a few to provide visitors with unforgettable hands-on experience. Various activities like planting rice, making batik, riding andong (horse-drawn carriage), playing gamelan (Javanese traditional instruments), and weaving Janur to name a few. Surrounded by scenic rice fields and hosted by friendly villagers are worth the experience. The village management usually has packages you may choose, ranging from hands-on experiences and choosing only to stay is available. Art Jog is an international art exhibition held annually in Jogja National Museum. The theme is varied and hundreds of art exhibition are displayed every year. Contemporary arts in various forms such as visual arts, music, dance and performing arts will satisfy your artsy soul. Culinary is another fun activity you can do in Yogyakarta. Those who are seeking traditional recipe and extreme food can enjoy it in this city. Rich in flavors is the iconic Gudeg, made from underripe jack fruit (gori), teak leaves, coconut milk and other ingredients, and stewed for hours. It is served with boiled egg, chicken, or tofu. It has variations of tastes, but the original Yogyakarta style usually tastes sweeter and drier. Bakpia is a must snack you have to try in Yogyakarta. It is a Chinese-influenced roll stuffed with mung beans originally. Although nowadays you will find dozens of fillings (chocolate, green tea, cheese). Pathok suburb is the center of this delicious sweet snack where it originated.